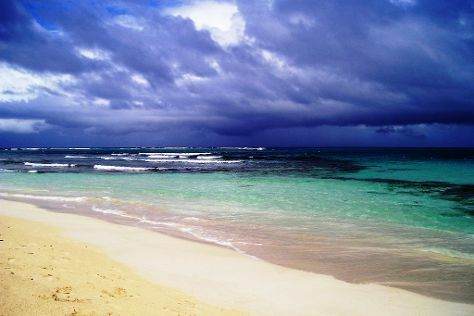 On your second day here, kick back and relax at Flamenco Beach. To see ratings, maps, traveler tips, and other tourist information, use the Culebra travel itinerary planner. Atlanta, USA to Culebra is an approximately 8-hour flight. You can also do a combination of flight, taxi, and ferry. Due to the time zone difference, you'll lose 1 hour traveling from Atlanta to Culebra. Plan for much hotter temperatures traveling from Atlanta in December, with highs in Culebra at 85°F and lows at 75°F. Finish your sightseeing early on the 29th (Sat) to allow enough time to travel to Carolina. Known as the "Land of Giants" in honor of its celebrated residents--including poet Julia de Burgos and baseball player Roberto Clemente--Carolina makes a living as both an industrial center and a hub of tourism. Get a sense of the local culture at Old San Juan and San Juan National Historic Site. Escape the urban bustle at El Yunque Rain Forest and Pine Grove Beach. You'll find plenty of places to visit near Carolina: San Juan (El Galpon & Spicy Caribbee). It doesn't end there: get engrossed in the history at Cathedral of San Juan Bautista. For more things to do, reviews, traveler tips, and tourist information, use the Carolina trip builder tool . Traveling by combination of flight and taxi from Culebra to Carolina takes an hour. Alternatively, you can do a combination of ferry and taxi. December in Carolina sees daily highs of 85°F and lows of 75°F at night. Finish your sightseeing early on the 1st (Tue) to allow enough time to travel to Isla de Vieques. Start off your visit on the 2nd (Wed): contemplate the waterfront views at Sun Bay. Keep things going the next day: take an in-depth tour of Fortin Conde de Mirasol Museum and then enjoy the sand and surf at Blue Beach. To find more things to do, maps, other places to visit, and more tourist information, read our Isla de Vieques online tour itinerary planner . Traveling by combination of taxi and flight from Carolina to Isla de Vieques takes an hour. Alternatively, you can do a combination of taxi and ferry. In January, daily temperatures in Isla de Vieques can reach 82°F, while at night they dip to 72°F. Finish your sightseeing early on the 3rd (Thu) to allow enough time to travel back home.